After a successful 2019 campaign in Lake Country I was pleased to see we are holding our own. By comparison the Edmonton Market is much lower in volume and value, but Lake Country is going strong. “Uncertainty” is a word that might be weighing on people’s mind’s with respect to the market. I’m maybe one of a few Realtors still in the business after the total market collapse in 1983. This collapse was caused by two major issues, interest rates and the National Energy policy that came to be known as the NEP. Fortunately, today we are only dealing with one of those factors that would contribute to our lack of an energy policy that is creating an atmosphere leading to a lack in investments and job loss. Here again I will use the word “uncertainty”. This uncertainty in the early ’80s cost many people everything, yet a minority of others prospered. We can help you to be in the winning group. In my 35 years of being involved in the industry, I see one word as well. The word I see is opportunity. I’ve watched both buyers and sellers profit in the 1983 – 1986 market despite the so-called recession where we saw the number of Realtors drop from a high in 1983 of 3300 to less than 1600 by 1986. 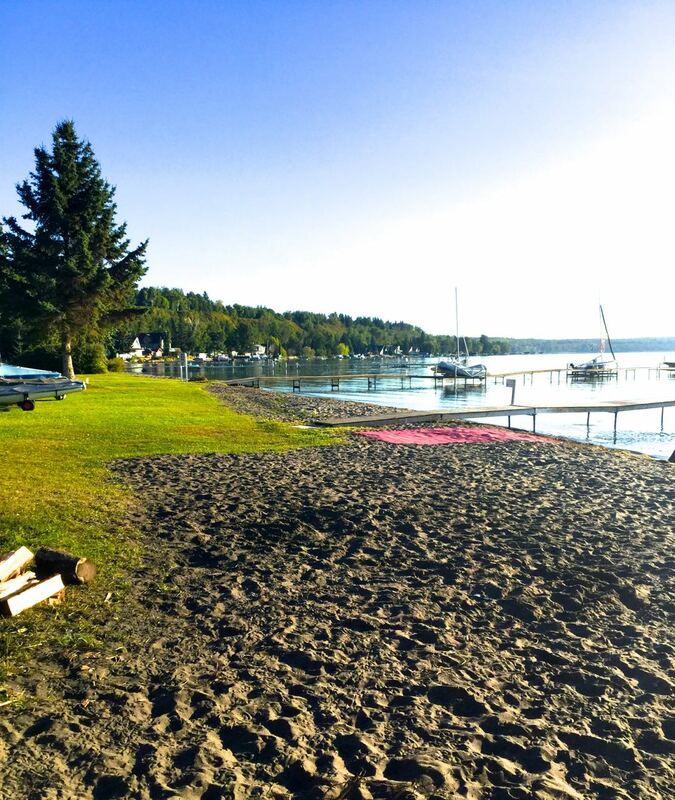 Edmonton Lake Property has designed an opportunity diagnosis of the industry and can advise you where, when and should you buy or sell, and my staff and I would love to share it with you. While others are gearing down, we are ramping up. We invite you to give us a call for either a free home seller consultation or a buyer’s investment in lake property consultation to see how we can make your real estate experience profitable. Please give us a call at 780-991-5107. Please look at our first advertisement of 2019 to learn more. We look forward to seeing you soon. Look for our New Website – 2nd site coming in April www.edmontonlakeproperty.realestate. Thank you to lake country and especially the wonderful people who bought and sold through us in 2018 allowing me to qualify among the TOP 5% of all Edmonton Realtors in 2018! Before I close out 2018, I would like to say thank you from the bottom of my heart to our 120 plus friends/customers who helped make 2018 the 3rd most productive year for us at Edmonton Lake Property. Not only were we successful we were also able to hold prices in lake country despite the drop in Edmonton area real estate. We even closed out the year with 1 million-plus sale on Rizzie Beach. Like most years where we add improvement to our system, 2019 will be one of growth in mass marketing and to expose more buyers into our area. Our main push will be a series of seminars in Edmonton letting others know about our wonderful communities. Despite winter lasting longer than usual Wayne William Heine at Edmonton Lake Property reports high-end activity has been brisk the last few months. Even though lake season doesn’t really begin until May, already 5 sales over $680, 000 dollars has happened with two being over a million dollars which has already matched all of 2017. Wayne says the known buyers looking for high-end homes is unmatched. In the last 7yrs, he has sold lake property in which Wayne has personally been involved in all MLS sales over $800,000 in those years at Lake Wabamun. He says the known list of buyers actively looking for lake-front includes surgeons, ceos and even a few NHL hockey players. This demand is high despite inventory going into May is almost non-existent. This secret is out of the bag, lake country that gives you a wonderful year-round recreational experience is less than 40 minutes from Edmonton. It is taking off for many reasons including the fact that all new lakefront in Alberta has to be 150 feet from the lake making established subdivisions offering the only true Lakefront available. In 2012 there were 2 sales over $500,000, the most expensive being $525,000. This year we have 5 sales over $680,000. This creates a wonderful opportunity for our off lake buyers as well as other lakes. Wayne says we’ve already had a sale at Isle lake for $495,000 this year, more expensive than any sale in 2017 on the lake. Lake communities around the lakes are turning into investment opportunities with the price differences with lakefront being so wide. Wayne states that all lake community owners have wonderful access to the lake as far as boating and beach privileges that are not offered to the general public. Yes, Wayne says membership has its privileges. I guess while out enjoying lake country in 2018, take a minute to look over our wonderful investment opportunities. You could be adding a whole lot of summer fun to your life and securing your future at the same time. A lake property is not a static place. It is always changing, it changes with the season, it changes with every new item you bring into the home and every improvement you make. A lake property is truly an investment but not only in financial terms. I found in selling lake property over the last 7 seasons, owning a lake property improves the way we think of ourselves, it makes the family more functional. Owning a lake house is really a celebration of life. Your lake house can be a place of personal expression by creating an environment that is alive, helping you find the true you. Sometimes when starting to think about a lake property there are many levels to enter the market. Myself and my staff at Edmonton Lake Property are enriched with knowledge and love for the area and you will find we are all ready to share. I ask you while you are there take a minute to meet and support our local merchants. I wish you a wonderful Easter and a warm spring market. Ahh. Everyone has vacated the best beach in Alberta after the long weekend, now the best season of the year begins and only select few get to enjoy it. My wife and I are blessed souls, Oh ya, the best time of year to get your best real estate buy is Sept and October, get out to lake country. Last day of February 2017, we are now initiating operations for what we feel will be our best year. We have now serviced Lake Country West of Edmonton for 5 years now and have sold over 300 properties. In 2017 we have more tools, better marketing and we are adding my youngest daughter to our sales team. You will now have 3 Heine’s serving your lake needs. I personally will be back in Lake Country around April 5, 2017. We look forward to selling a record number of homes this year as the market has stabilized and by all indicators it is going to be a great year. We are also happy to have Ted Keller back with us in 2017. We will be looking to hire someone in Lake Country to help with administration. So if you know a student or someone local let us know and they can learn a lot. In Facebook and our blog you can look forward to a lot of great information in 2017. See you soon. This year we will be implementing a new system called Investor assist, where we provide services for lake property owners who want to invest in their future. This services is only available to our personal clients. For more info call Wayne today. Here is 6 summer fun activities as to why you should visit the TRI-Lakes recreational area or what I like to call FUNLAND just west of Edmonton. The TRI-Lakes consists of Lake Wabamun, Lac Ste Anne and Isle lake. These 3 unique lakes and their individual activities offer something for everyone and the best part is it is only an hours drive from our city. This makes it the ideal place for a day visit. Enjoy classic attractions from a walk on the beach, a bike ride, fishing or boating in many places. There is an endless list of summer activities but here is 6 pack to get you started! 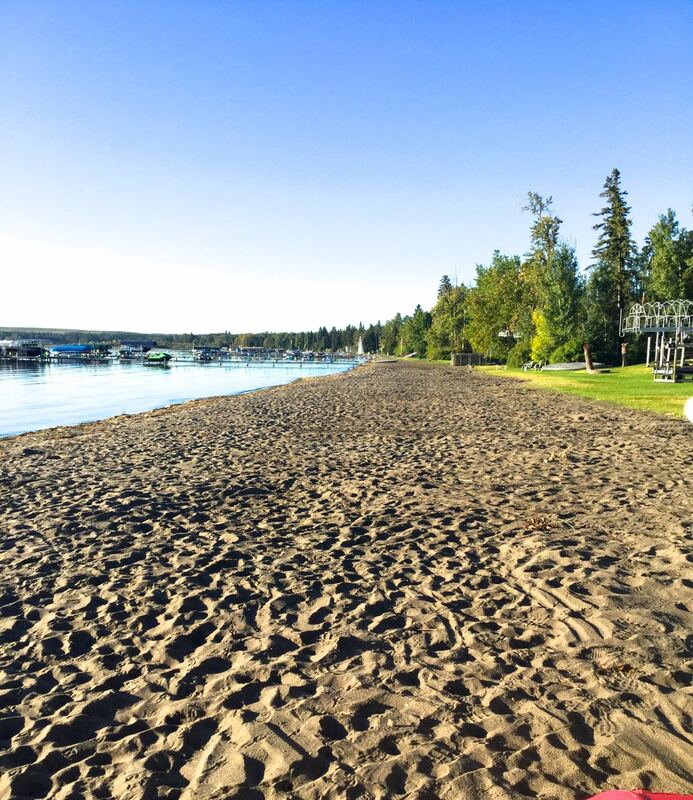 Take the kids swimming in Lake Wabamun at either end of the lake, on the east side you have Kapasiwin provincial park where you can enjoy the golden sand and or on the Seba Beach side where you can pick a spot on our 2 mile beach. The water is crisp and clean as more mountain water is added all the time directly from the North Saskatchewan river. Now rated Alberta’s cleanest lake! If swimming off the shore is a little to tame, enjoy water rafting down the Pembina River where you can rent tubes and many other floating devices. Visit the Derby General Store in downtown Seba Beach, here you will find hundreds of unique souvenirs, Dan and Andrea shop the world to keep their store in the know. Round of Golf anyone? Enjoy our many golf courses for a relaxing non rushed round of golf and take time to enjoy the local cuisine after the game. 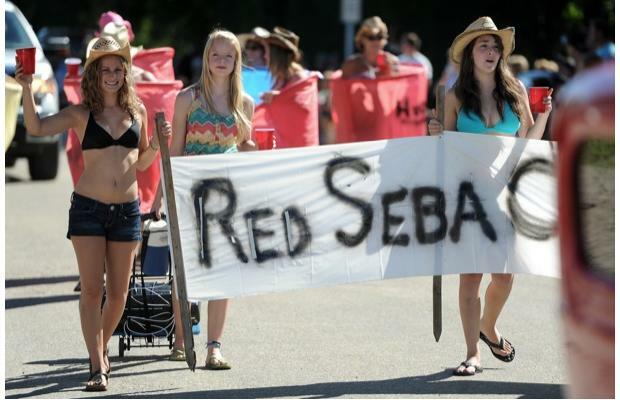 Need fresh vegetables, this weekend look at our calendar for a list of local area farmers markets you can enjoy Alberta Beach, Darwell and Seba beach all in one day! Have kids, check out our local libraries, where you can enroll the kids in one of the many activities they offer throughout the summer, you may even find time for a quiet lunch or maybe 9 holes of golf. Of course there are many other activates, museums, historic sites and other things to do. The whole point is to check it out. While you are here check out the local real estate, you may just make the investment of a lifetime! We should have our events calendar up and running soon. If you have any questions call us anytime at 780-991-5107.